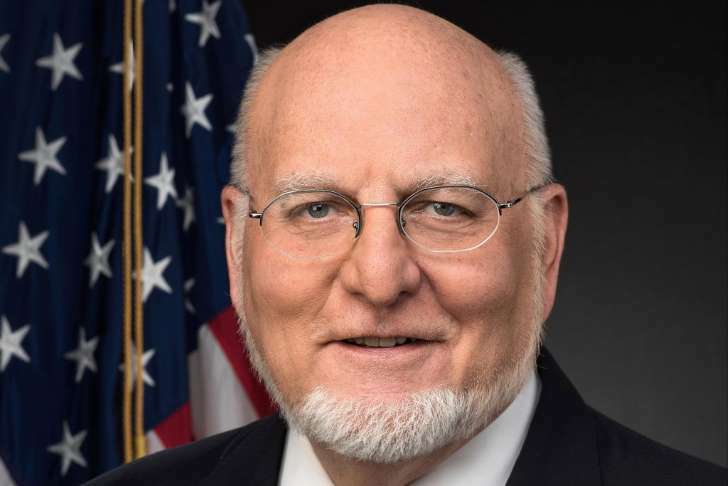 A top Democratic senator is raising questions about the $375,000 salary of Robert Redfield, the new leader of the Centers for Disease Control and Prevention, who is getting almost twice what his predecessor earned and more than other past directors. In a letter Friday to Health and Human Services Secretary Alex Azar, Sen. Patty Murray (D-Wash.) asked for the justification for offering Redfield “a salary significantly higher” than that of his predecessors and other leaders at HHS. Murray, the ranking Democrat on the Health, Education, Labor and Pensions Committee, noted news reports this week that Redfield was being hired under a special salary program. Title 42, as it is known, was established by Congress to attract health scientists with rare and critical skills to government work. It grants federal agencies authority to offer salary and benefit packages that are competitive with those offered in the private sector and academia. The 66-year-old Redfield, a former Army researcher and leading AIDS clinician and professor of medicine at the University of Maryland School of Medicine, is well respected for his clinical work but has no experience running a governmental public health agency. He was named March 21 to head the CDC. Redfield earned an annual salary of $645,676 at the University of Maryland. The upper end of the basic salary range for CDC director is about $190,000. Former director Tom Frieden, who has a medical degree and a master’s degree in public health and was the New York City health commissioner from 2002 to 2009, earned $219,700. Redfield succeeds Brenda Fitzgerald, the former Georgia health commissioner who resigned Jan. 31 because of financial conflicts of interest. She served only half a year. Her annual pay rate was $197,300, the Associated Press reported, an increase from her $175,000 annual salary as the head of Georgia’s health department, according to state salary records. Neither Frieden nor Fitzgerald was paid under the Title 42 program. Redfield also earns more than his boss, Azar, whose annual compensation is $199,700, according to an HHS spokesman. Francis Collins, who is head of the National Institutes of Health, earns the same as Azar. Redfield’s pay is more than twice that of Scott Gottlieb, head of the Food and Drug Administration, who makes $155,500. For the jobs filled by Azar, Gottlieb and Collins, the salaries are set by law. In the 1980s and 1990s, Redfield supported policies that have raised deep concern among some AIDS advocates because they were not considered sound public health approaches to the epidemic. The critics believe those policies also stigmatized people who were infected and feared being fired — and losing their health insurance. Redfield has resigned his positions at four groups, including a gene therapy biotechnology company and a conservative AIDS organization, to comply with government ethics rules, according to his financial disclosures. Redfield has also divested stock holdings in two private biotechnology companies and is recusing himself from participating in matters involving the University of Maryland and seven organizations, according to his ethics agreement and a memorandum about his recusals provided to The Washington Post by an individual with knowledge of the plans. His university compensation from 2017 through this March was $757,100 plus a $70,000 bonus, according to his financial disclosure.